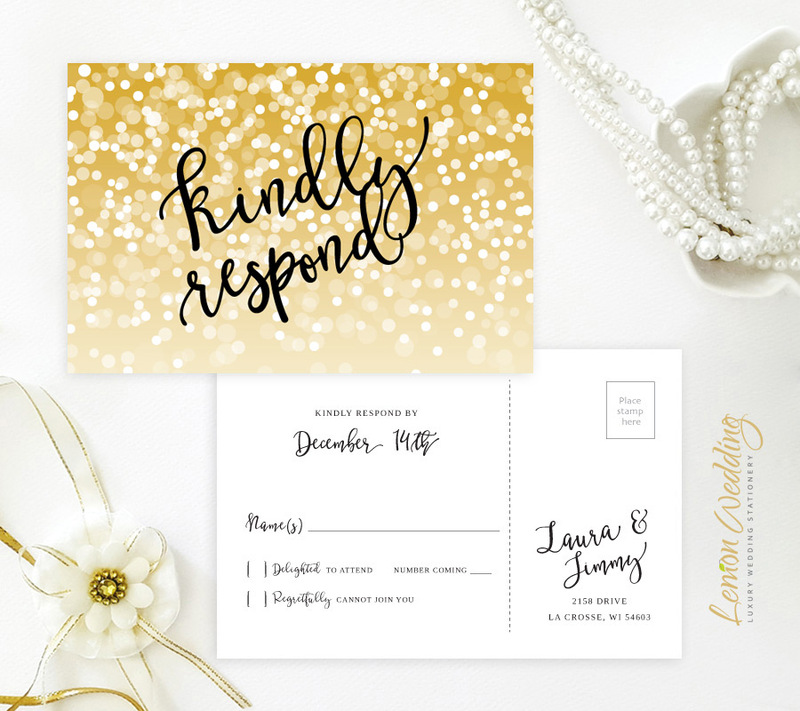 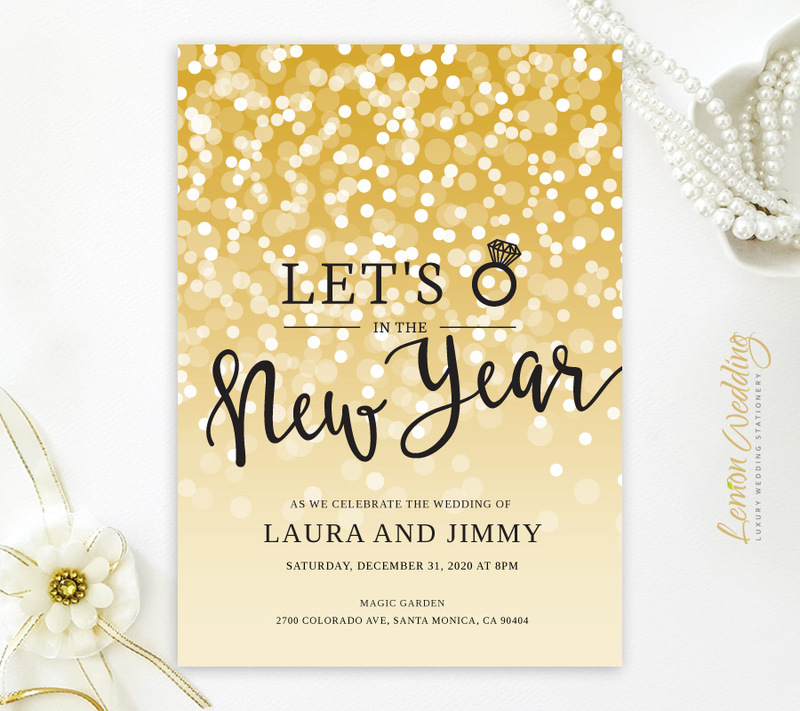 Glitter and sparkle New Year's Eve Wedding invitations printed on premium paper. 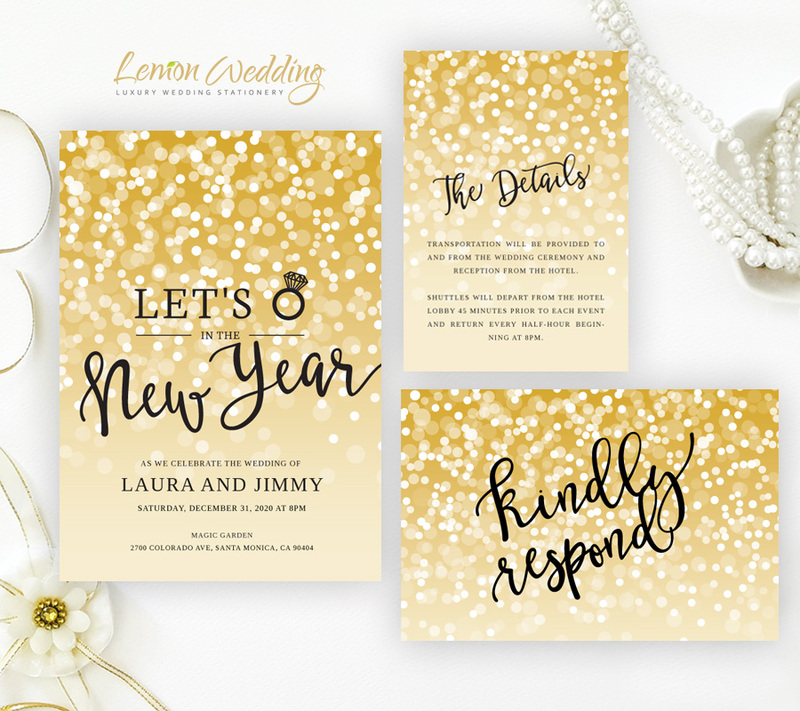 Cheap wedding invitation sets. High quality at affordable price.